When it comes to camping, weather and seasons play a major role. Most people avoid doing it during the winter because of freezing temperatures, so folks usually opt for the summer months. However, many tend to overlook how hot an inside of the tent can get during a sunny, warm day, and if you’ve experienced it, you know that it can be literally unbearable. Luckily for us outdoors types, there is a solution to this problem – portable camping fans. Today we’re going to take a look at the best camping fans on the market that could seriously improve your summer camping experience. Here we have a fan which is a little bit different regarding construction and capabilities than the other two we mentioned. The Image Portable Lantern with ceiling fan is a relatively small (6 x 6 x 7 inches) model, with a 5.7-inch fan, making it the smallest product on today’s list. It is also extremely lightweight (1.2 lbs) which means that it is perfect for backpackers. Its size makes it suitable for smaller tents. 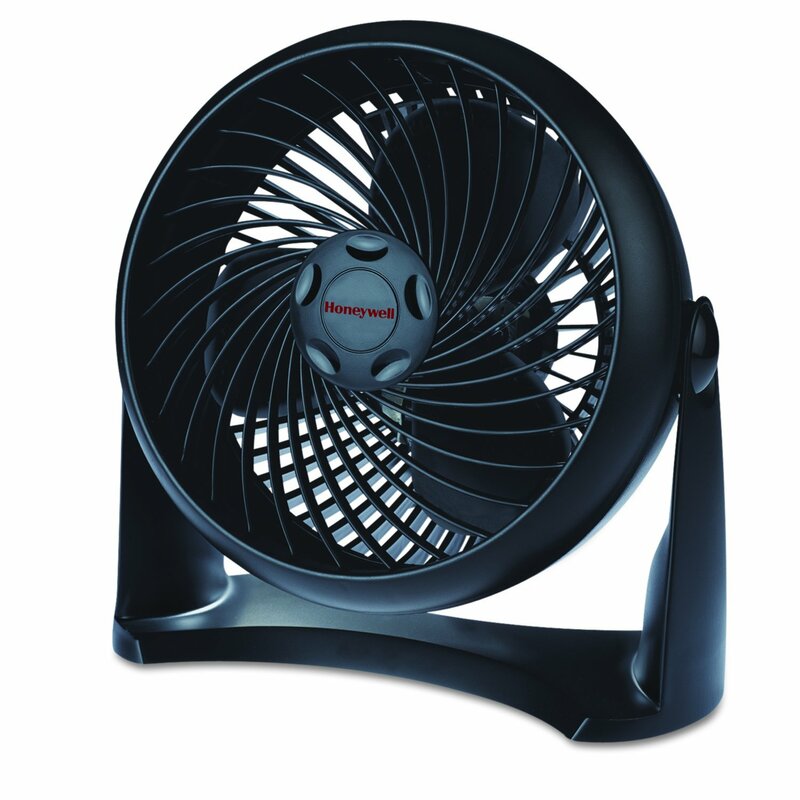 Honeywell’s fan is a simple yet versatile camping fan suitable for outdoors or home use. This model is slightly heavier than the previous one, and it weighs around 2.6 pounds. This is still considered fairly lightweight, which is a bonus when it comes to handling. This fan comes in two sizes – 11-inch frame with a 7-inch blade, and 15-inch frame with 10-inch blades so that you can choose according to the size of your tent. It is entirely made of plastic. If you’re looking for endurance, then 02COOL’s 10-inch fan might be a good choice. 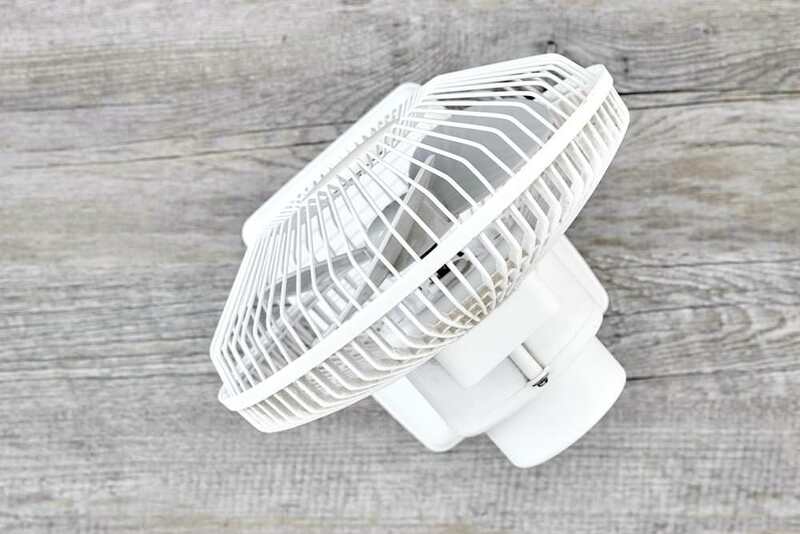 The fan is relatively light, weighing just over 2 pounds (2.3 lbs), which means that it shouldn’t be a big problem to move it. 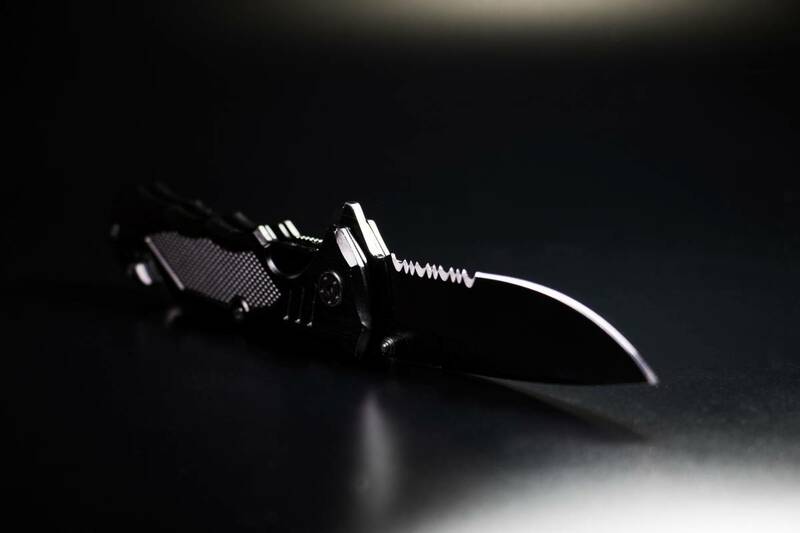 This model has the longest blades (10 inches) of all products in today’s list of reviews, and this means that it will have no troubles cooling larger tents and spaces. On the contrary, this fan is definitely too big for backpackers since it is not practical to lug around. How to Choose the Best Camping Fan? Here we have a fan which is a little bit different regarding construction and capabilities than the other two we mentioned. The Image Portable Lantern with ceiling fan is a relatively small (6 x 6 x 7 inches) model, with a 5.7-inch fan, making it the smallest product on today’s list. It is also extremely lightweight (1.2 lbs) which means that it is perfect for backpackers. Its size makes it suitable for smaller tents. 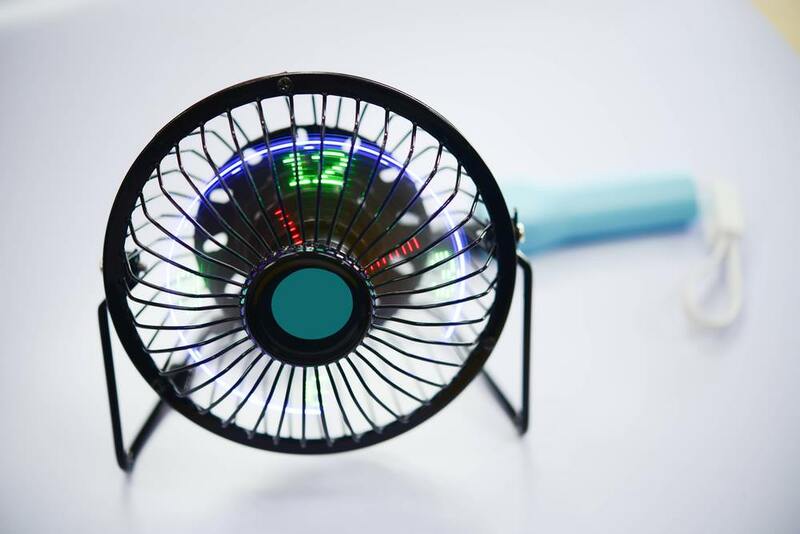 The fan is powered by 2 D-cell batteries which enable it to work for 10 hours on high speed, 20 hours on low speed. The running time is shorter compared to the other reviewed models, so make sure to bring extra batteries just in case. As you have concluded from the previous paragraph, this model has two speed settings – high and low. As far as placement is concerned this product is very versatile. You can hang it on the tent’s construction or place it on the ground if you prefer. Also, the head can be pivoted so you can easily adjust the angle of the fan. Now a really handy addition is the 18-bulb LED lamp that is built into this device. Its light is bright, can last up to 20 hours, and can be turned on and off independently of the fan. Another useful feature is a handle that makes carrying even easier. Here we have a fan which is a little bit different regarding construction and capabilities than the other two we mentioned.The Image Portable Lantern with ceiling fan is a relatively small (6 x 6 x 7 inches) model, with a 5.7-inch fan, making it the smallest product on today’s list. It is also extremely lightweight (1.2 lbs) which means that it is perfect for backpackers. Its size makes it suitable for smaller tents. Suitable for 2-person tent; not powerful enough for larger tents. 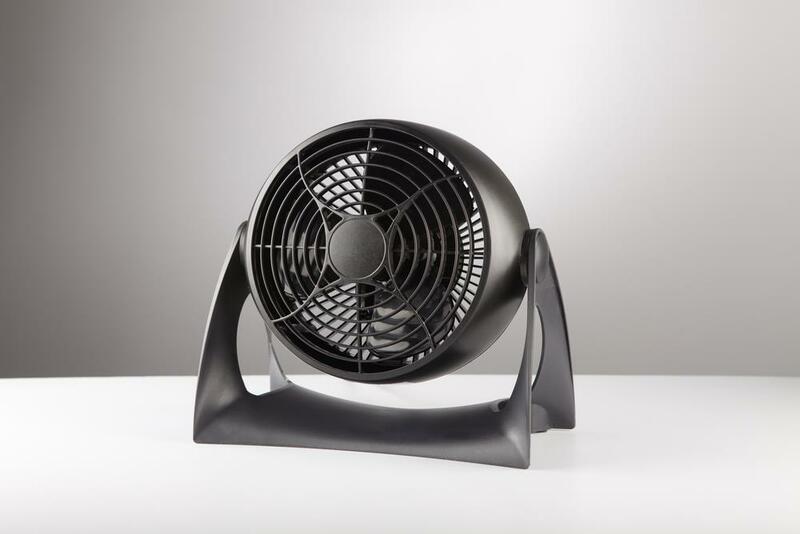 Honeywell’s fan is a simple yet versatile camping fan suitable for outdoors or home use. This model is slightly heavier than the previous one, and it weighs around 2.6 pounds. This is still considered fairly lightweight, which is a bonus when it comes to handling. This fan comes in two sizes – 11-inch frame with a 7-inch blade, and 15-inch frame with 10-inch blades so that you can choose according to the size of your tent. It is entirely made of plastic. HT-900 is solely AC powered, which is, of course, a huge minus when it comes to camping. This means that you will have to have some power source to plug it in, so unless you are equipped with a generator, do not go for this product. When it comes to speed, this model has three levels. This is an advantage because not everyone will feel comfortable with the same speed setting, so you will be able to choose one that is suitable for you. This is a free-standing device, or if you use it in your home, you can also mount it on a wall. The head pivots 90 degrees which allows for fine angle adjustment. It operates pretty quietly so light sleepers won’t have to worry about the noise. Honeywell’s fan is a simple yet versatile camping fan suitable for outdoors or home use.This model is slightly heavier than the previous one, and it weighs around 2.6 pounds. This is still considered fairly lightweight, which is a bonus when it comes to handling. This fan comes in two sizes – 11-inch frame with a 7-inch blade, and 15-inch frame with 10-inch blades so that you can choose according to the size of your tent. It is entirely made of plastic. 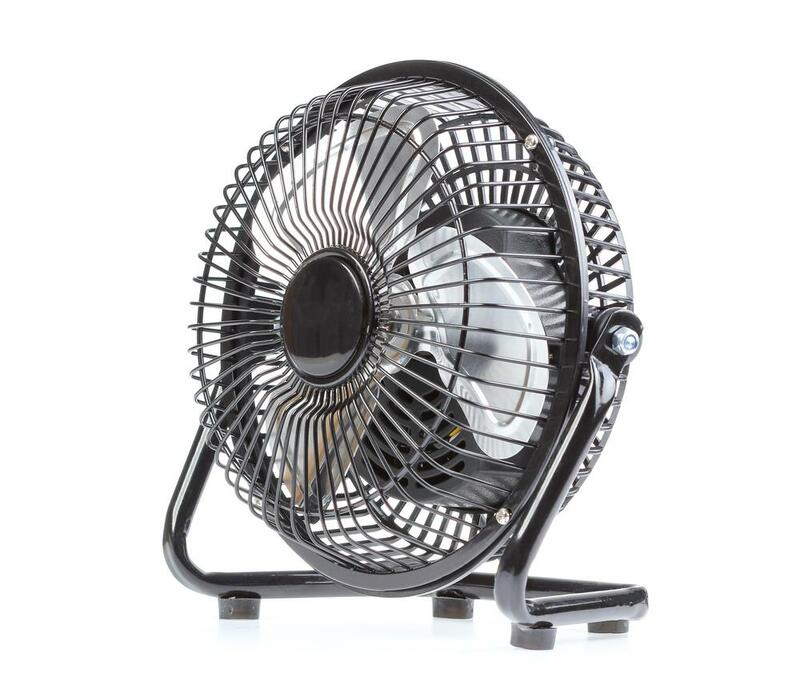 If you’re looking for endurance, then 02COOL’s 10-inch fan might be a good choice. The fan is relatively light, weighing just over 2 pounds (2.3 lbs), which means that it shouldn’t be a big problem to move it. This model has the longest blades (10 inches) of all products in today’s list of reviews, and this means that it will have no troubles cooling larger tents and spaces. On the contrary, this fan is definitely too big for backpackers since it is not practical to lug around. A big bonus is that this device comes with an AC adapter included in the package because in most cases it has to be bought separately. This enhances its versatility and makes it suitable for home use as well. If there’s nowhere to plug it in, you can power the fan with 6 D-cell batteries which can last up to 40 hours. This model has two-speed levels available, which is pretty standard for this type of products. As far as mobility is concerned here’s where O2COOL lacks. It doesn’t have any movable joints so it can’t be tilted. This is a big disadvantage because the whole device has to be moved for it to blow in your preferred direction. When it comes to noise, it is fairly quiet, especially on the low-speed setting. 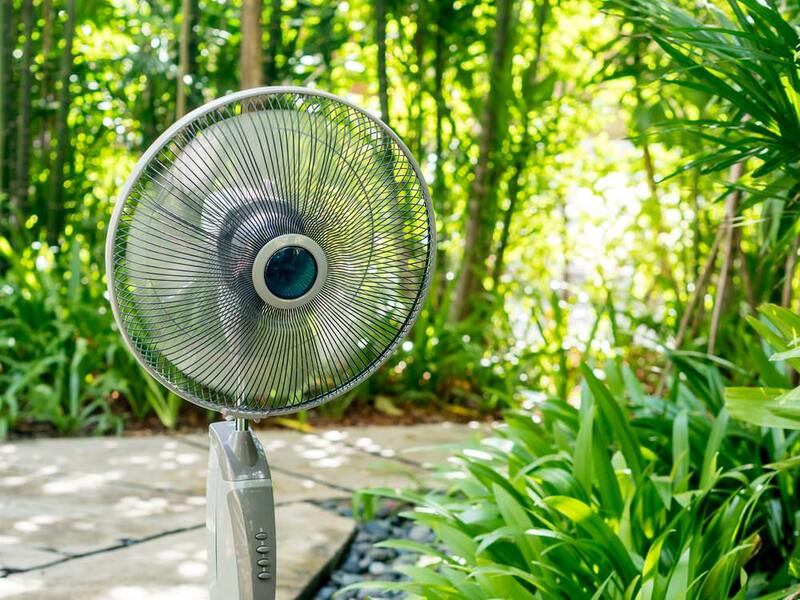 However, some users complained that after months of usage, the fan tends to get noisier. 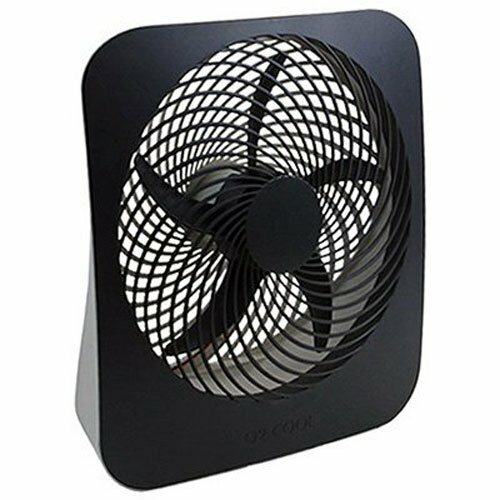 If you’re looking for endurance, then 02COOL’s 10-inch fan might be a good choice.The fan is relatively light, weighing just over 2 pounds (2.3 lbs), which means that it shouldn’t be a big problem to move it. This model has the longest blades (10 inches) of all products in today’s list of reviews, and this means that it will have no troubles cooling larger tents and spaces. On the contrary, this fan is definitely too big for backpackers since it is not practical to lug around. 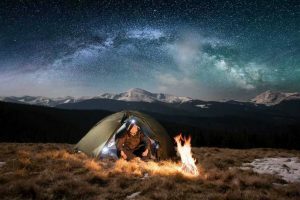 As is the case with most products of any kind, camping fans too, come in many shapes and forms, so it would be a good idea to get familiar with some basic features of these contraptions. When in nature, I assume that you will not have access to electricity, so the reliability of your devices is key for enjoyable camping. The last thing you want is that your fan gives you trouble or doesn’t work properly on a scorching hot day. In order to choose an adequate model, here are some things about camping fans that are good to know. The weight of the fan is a significant factor, especially if you’re going to be lugging it around in a backpack. In this case definitely, choose a lighter model because you certainly don’t want a heavy fan on top of all the stuff that you already have to carry. The philosophy that more weight means more reliability doesn’t necessarily apply to this type of product, and many lighter fans work just fine. Size matters not only because of handling and transportation, but also the size of your tent. You don’t want a big fan in a small cramped up tent, or a small fan that can’t cool off a big tent, so consider this. Certain models also have an AC adapter included which is a plus. If you choose a battery-powered fan, look for one that can hold 3-4 batteries. More batteries usually mean that the device will be able to work for a longer period. Of course, all this depends on how long your camping trip is going to be. For one-night camps, I would say that there is no need to worry about this. Some fans offer more speed levels which is a desirable feature to have. A higher speed is good to cool the tent quickly, and a slower one can be chosen when you go to sleep. Many folks won’t feel very good after hours under a fast and powerful fan, so having the option of reducing its speed is very helpful. This refers to the moveable parts of the fan, meaning that you can adjust the angle according to your preference. It’s very practical to have this option, and it varies from model to model – some are completely immobile, but others can be tilted or even moved around for 360 degrees. When it comes to placement, most fans that you encounter are free-standing, but some have the hanging option as well. This solely depends on what suits your needs, so make a choice according to that. Since you are most likely going to have the fan running all night, look for one that operates quietly. The last thing that you want is a loud fan that will ruin your evening. Models with metal blades are usually the noisy ones, while plastic models are quieter. Read some online reviews regarding this topic and see what other people’s experiences with the product were before buying it. 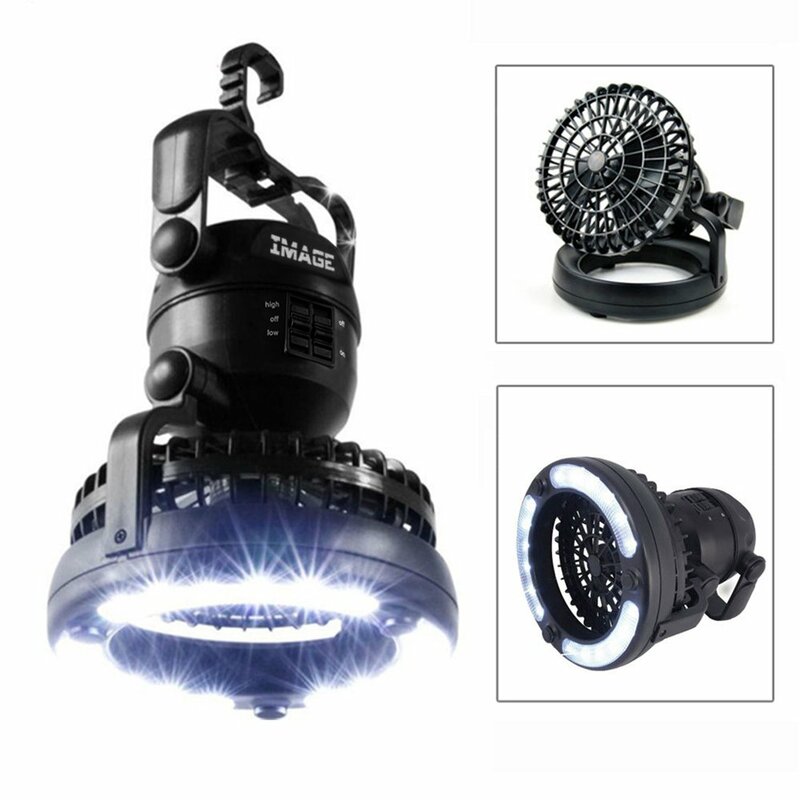 LED light, although not necessary, can be a big bonus, especially during pitch-dark nights. In most cases, the light can be turned on and off independently of the fan, so that it doesn’t bother you when you don’t need it. Camping on a hot day without a fan is unadvisable, so make sure to get one if you plan to immerse yourself in this activity. However, choosing the model that’s right for your needs will depend on the size of your tent, as well as some other factors. In our opinion, the winner of today’s review list is definitely the Image Portable Camping Lantern with Ceiling Fan. It’s light and easy to carry, has a very practical LED lamp, and it’s great for small tents, which we prefer to use. If you share the same requirements as we do, go for this product, and we guarantee that you won’t be disappointed.